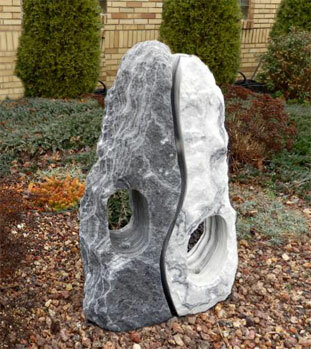 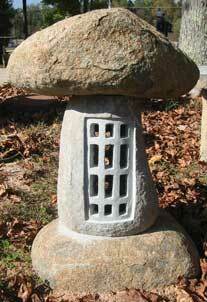 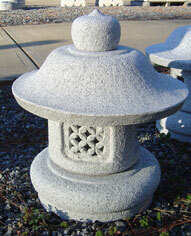 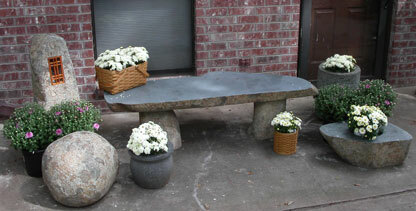 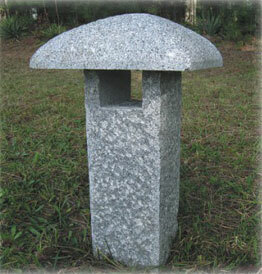 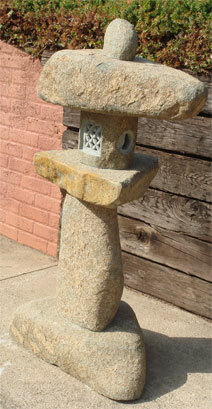 These three boulder-granite lanterns complement our rough-cut boulder bench shown with them. 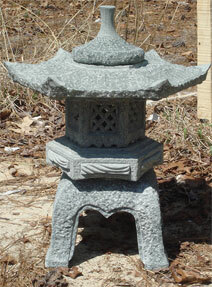 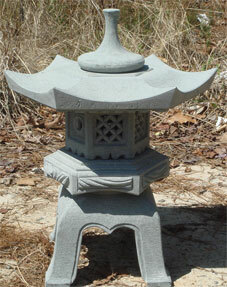 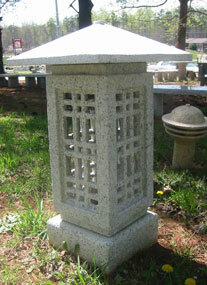 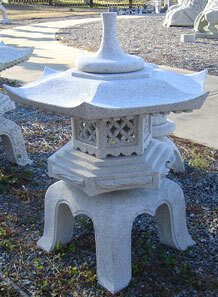 slightly-damaged 20013 36" Kayabou lantern. 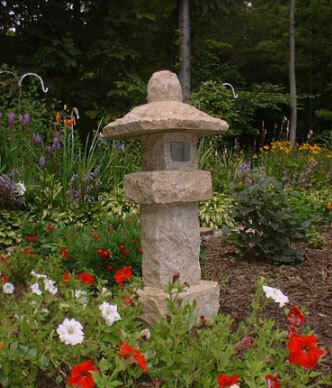 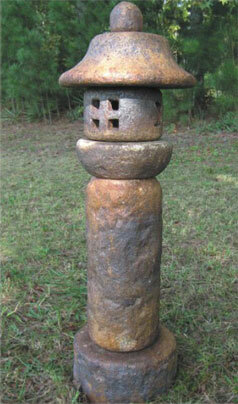 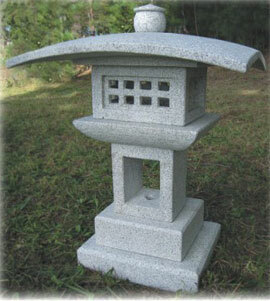 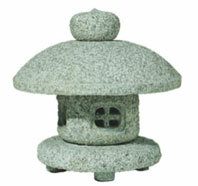 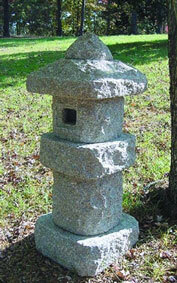 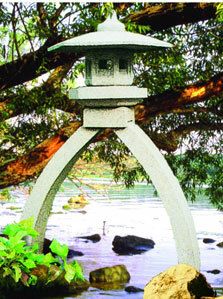 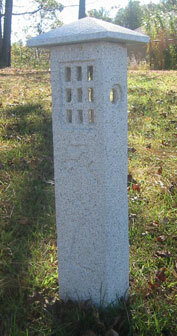 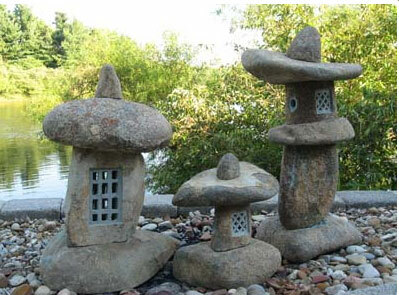 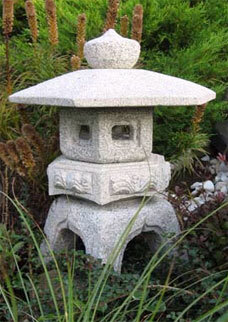 Each boulder style lantern is unique. 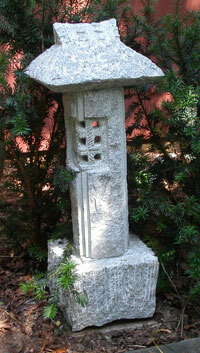 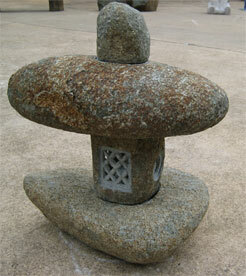 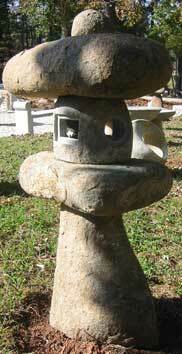 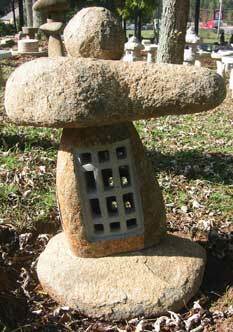 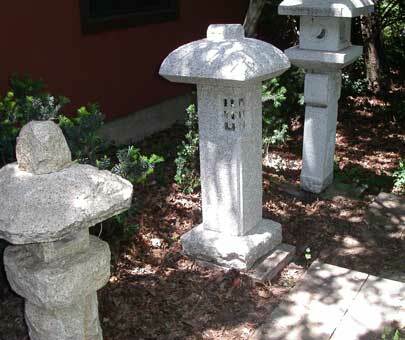 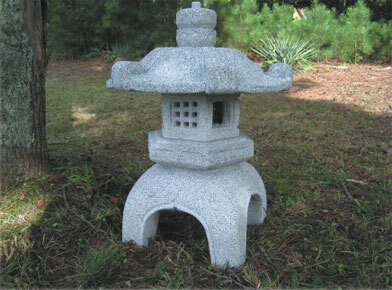 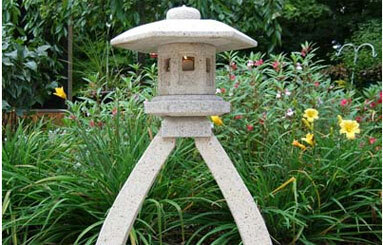 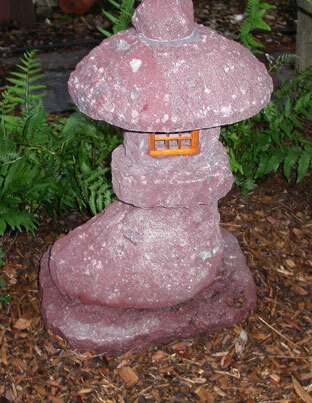 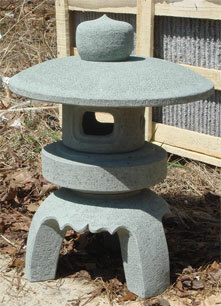 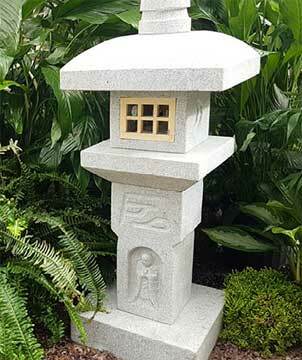 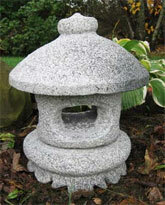 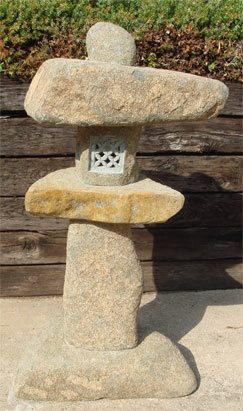 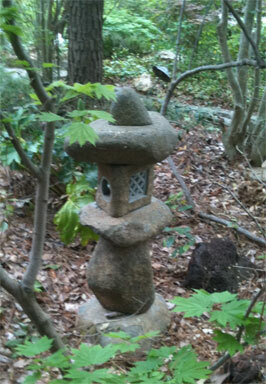 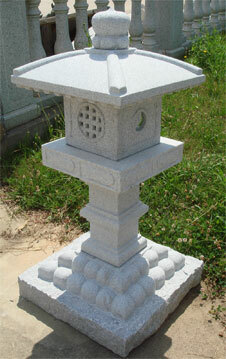 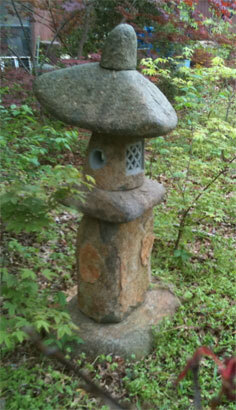 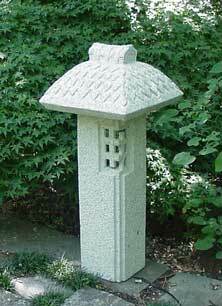 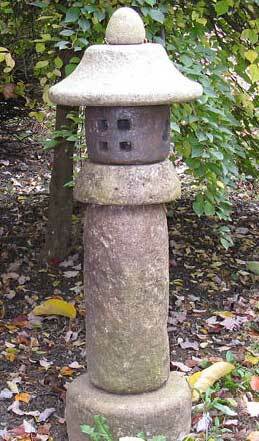 Here are two boulder-style lanterns shown in the garden. 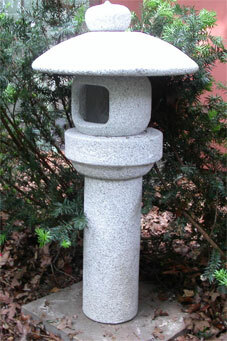 Note: Most lantern styles are drilled. 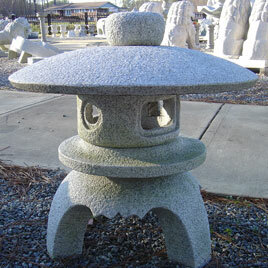 Lights and wiring are not included.